4 Stars for Fuller Full Crystal! In Response magazine’s exclusive monthly snapshot of product and campaign reviews from the SciMark Report, Jordan Pine gives Fuller Full Crystal a rating of 4 out of 5 stars! This Hutton Miller spot was created for our friends at SAS group. At press time, this campaign was No. 10 on the DRMetrix Weekly Top 40. According to Jordan Pine, author of the Scimark report, that’s pretty convincing evidence it’s five-star material. 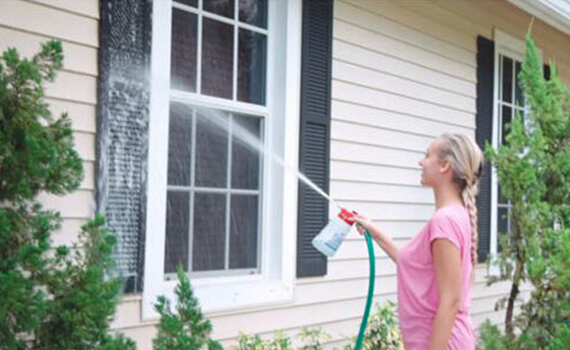 Fuller Full Crystal is a window cleaning solution that lets you clean all of your windows in minutes, not days. Calling the Hutton Miller demos and overall creative “amazing,” Pine tries to put his finger on other reasons the spot is doing so well. He cites the recent influx of storms nationwide as one possible reason consumers are so interested. Could be, but we think consumers know a great product when they see one! Either way, we are thrilled at the success Fuller Full Crystal is enjoying. Of course, we also enjoy Jordan Pine’s insight and valuable industry analysis, and are honored to be among this months top three picks for the spots to watch out for. Thanks Jordan, keep up the good work & congratulations to SAS Group. We wish the amazing Fuller Full Crystal even more success in the months ahead! Read the full Response Magazine article here.